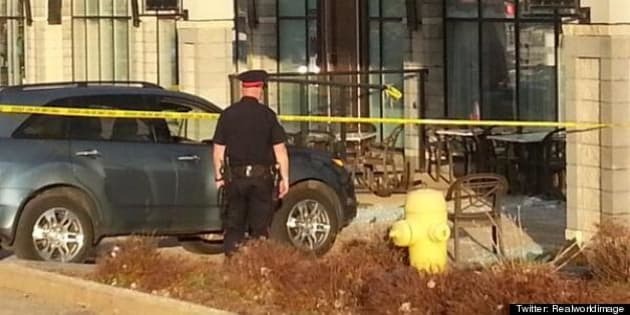 EDMONTON - Police in Edmonton have laid numerous impaired driving charges after a toddler was killed by an SUV that smashed through a restaurant patio. Investigators say a family was dining at an outdoor table at a restaurant in southwest Edmonton on Sunday evening when an Acura MDX crashed into them, pinning a two-year-old boy to a wall. Paramedics rushed the child, along with his family, to hospital where the two-year-old boy died. His father suffered rib and back injuries, and his mother and one-year-old sibling suffered minor injuries. Police arrested a 62-year-old man at the scene. Richard Suter faces charges of impaired operation causing death, refusing to provide a breath sample and two counts of impaired operation causing bodily harm. He is being held in custody until his first court appearance on Tuesday morning.